When you click on the link or past the link into your browser, you get this screen. In this screen example, you see the upgrade from version 1.53 to 1.62. Follow now the instructions on the screen. In the end, you will get an email, which informs you whether the installation was successful, or not. In addition, follow the next few steps with your preferred settings. 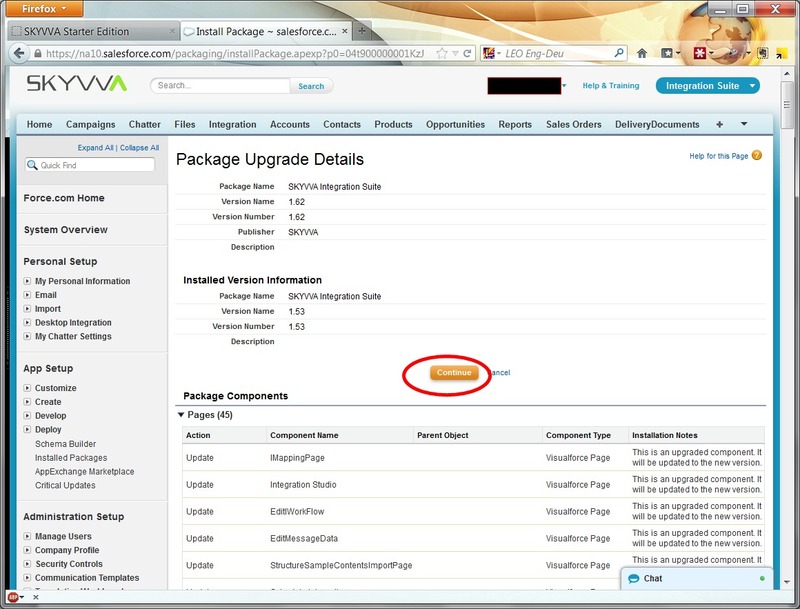 Your request to install package “SKYVVA Integration Suite 2.16” was successful. 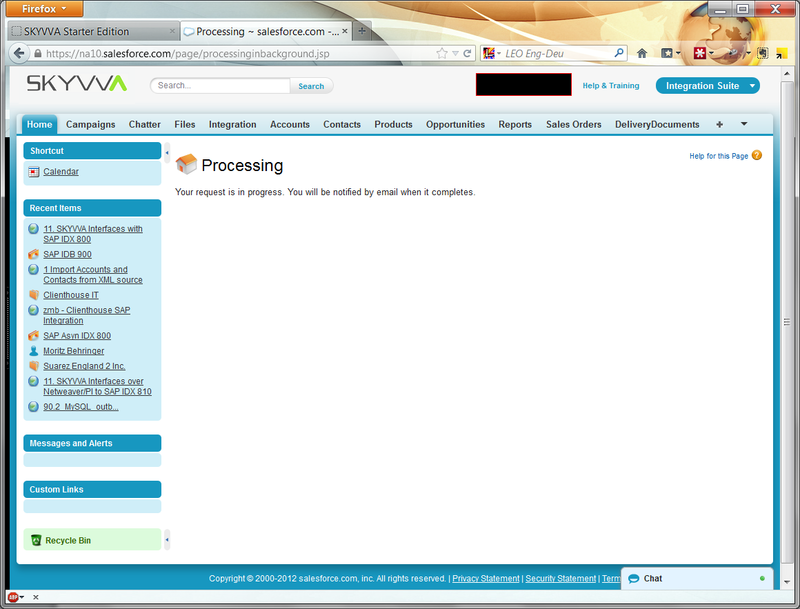 If you get a mail with error, please contact the SKYVVA support.